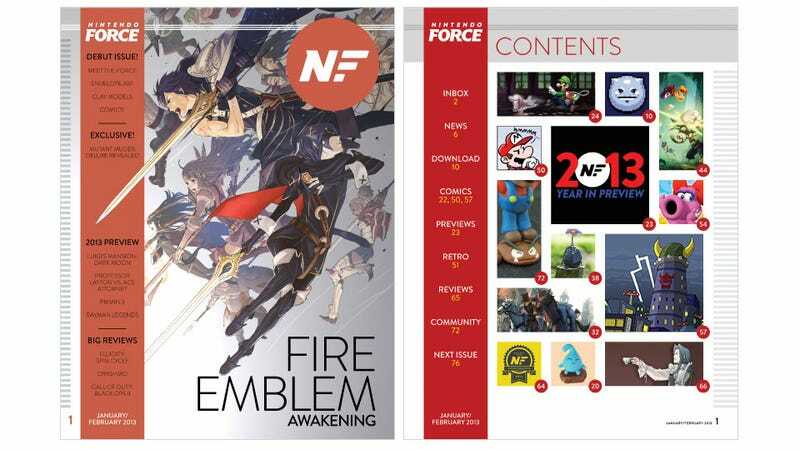 Nintendo Power magazine may have released its final issue late last year, but the spirit of the publication lives on with Nintendo Force, a very shiny, very new magazine that's hoping to take its place. Featuring writers from sites like 1UP, IGN and Destructoid, it's got a very nice cover (note the subtle NES cartridge effect), and is available here for $5 (digital copy) or $17 (digital + print copy). If you think that last price is a bit steep, remember, these guys don't have the backing of a major publisher, so costs have to be recouped somewhere.